Psoriasis and vitiligo are two chronic inflammatory skin conditions that have long been treated with phototherapy. Recently, laser theropy has become an alternative to generalized light treatment, as lesions can be targeted more directly and generally require less treatment sessions. While a variety of lasers have been tested for both the treatment of psoriasis and vitiligo, the most commonly used laser for this purpose is the excimer laser, which uses a wavelength of 308 nm. 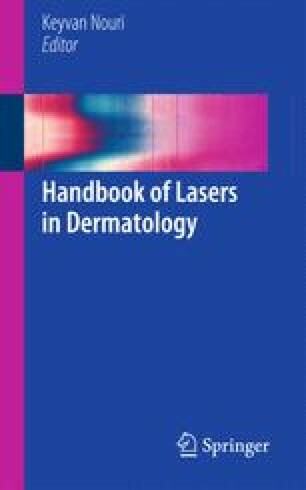 This chapter discusses the indications and use of lasers in the treatment of psoriasis and vitiligo.